DL Dominique Easley celebrating on field. 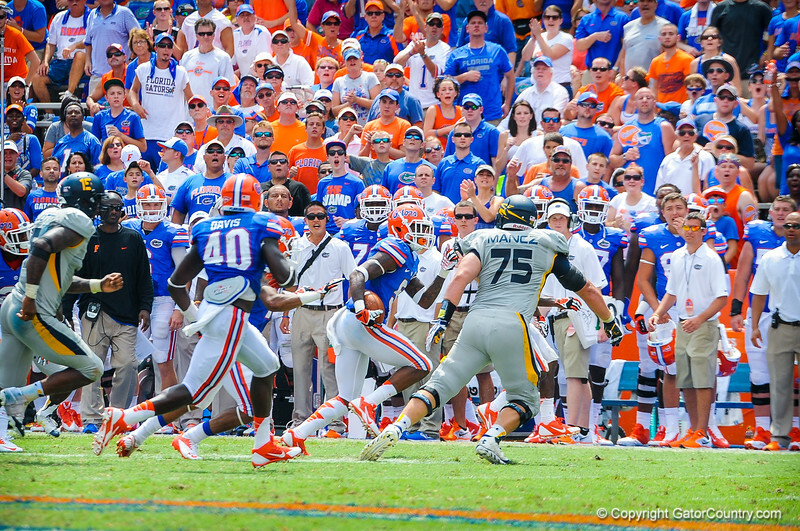 Gators vs Toledo. 8-31-13.